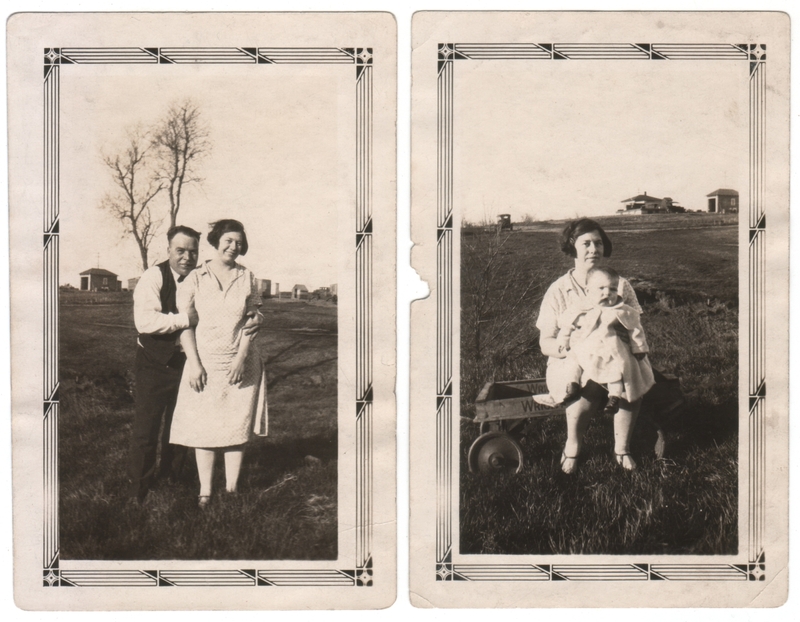 Two snapshots, each measuring 3.25 x 5 inches. Photos were processed at the Van Doran Photo Shop in Lincoln, Nebraska. Otherwise undated and unidentified. Maybe it’s just me, but I think there’s a certain beauty to the way affection radiates out of these photos amid the stark lighting and barren landscape. It would be an assumption to say that the man and baby are her husband and child, but that’s where my mind initially goes. As for the setting, I can only imagine how built up that area is by now.